In this course you will learn how PHP Model View Controllers (PHP MVC) work and how to create one yourself. Using the open source and well documented PHP MVC Project as a starting point, you will learn how to incorporate Model View Controllers into your development and solidify your skills by building your own MVC based framework. Even though MVC was originally designed for personal computing, it has been adapted and is widely used by web developers due to its emphasis on separation of concerns, and thus indirectly, reusable code. The pattern encourages the development of modular systems, allowing developers to quickly update, add, or even remove functionality. Imagine powering up your tablet and browsing a site you built. Or discovering the skills necessary to launch a career in web programming. Or imagine, after years of thinking about it, finally crossing “become code literate" off your bucket list. The Python Web Programming online course will ease you through the big, vast world of Python coding. Over the course of 7 hours, you'll be introduced to all the innovative concepts and foundational principles necessary to master web programming with Python. So whether you're an upstart programmer, an aspiring web developer, or someone just looking to gain a deeper understanding of python web programming, with this course you'll acquire the understanding and the confidence to conquer all things Python. It's easy and quick to learn: Forget strict syntax rules and endless strings of coding, Python was designed with simplicity in mind. And you'll be busy coding before you know it. Why? Because Python requires less time, less code and less concepts than all other programming languages. It's a stepping stone: New to object-oriented coding, or programming all together? Get your feet wet with the most versatile coding language on the market. Python teaches you sound foundational skills that are easily transferable to other, more tedious languages. It's a money maker: The demand for Python web programmers is booming. In fact, it's the most popular coding language in the world. Used by giants like Google, Pinterest and Instagram, it's is the only language you'll need to begin a career in Python web programming, design your own game or create your own app. And that's just for starters. We understand. There are other Python courses .But The Complete Guide to Python Web Programming dives deep into all aspects of web programming with Python. We pull back the curtain on coding—giving you an unparalleled understanding of the art and science behind it. But we don't stop there. Because you'll graduate with the all the tools necessary to build vibrant, sustainable web based programs. You see, this course was created as a labor of love. In fact, it's delivered with a level of quality and expertise you'd expect from an elite university ---not an online course. 60 lectures and over 6+ hours of content! Acquire an in-depth understanding of Python web programming. This course will teach you, assuming no prior coding knowledge, how to develop back end web applications the way professional coders do in the top internet startups. How do I know this? Because I've been leading tech teams in both large enterprise as well as startup companies in New York City for the past 15 years. I have seen a lot of courses and free tutorials and I can tell you 90% of them just teach bad habits while promising to turn you into a real “web developer". But let me tell you a reality: There's no such thing as a web developer these days. You're either a back end web applications developer, a front end application developer or the so-called (and rare) full stack web developer which includes the other two. However there are so many technologies to master in both the backend and frontend areas that full-stacks (or “web developers") are a rarity in professional environments -- You're either a back end or a front end web developer. This course doesn't promise to turn you into a professional back end developer after you complete it...but it will give you a good foundation from where to start and continue your training, knowing the right path to become a real professional backend web applications developer using Python. My goal is to make a second course, which would introduce more advanced back end concepts and then start the front end courses (basic and advanced) soon after that. The course goes through a step by step process of developing web applications, teaching you the Python basics for web development, introducing Flask and using Cloud9 as your development environment. It then moves to explore SQL databases, using MySQL and finally showing you how to develop a blogging application using all these learnings. Best of all, you don't need to install anything as we will use a revolutionary online web development environment that essentially gives you your own Linux web server with database capabilities! All you need to have is a browser and internet connection and it's completely free to you. Finally, you will learn how to run your application using Docker Containers, one of the hottest new technologies that allow developers to write their applications and deploy easily to a number of cloud hosting platforms and scale them indefinitely. 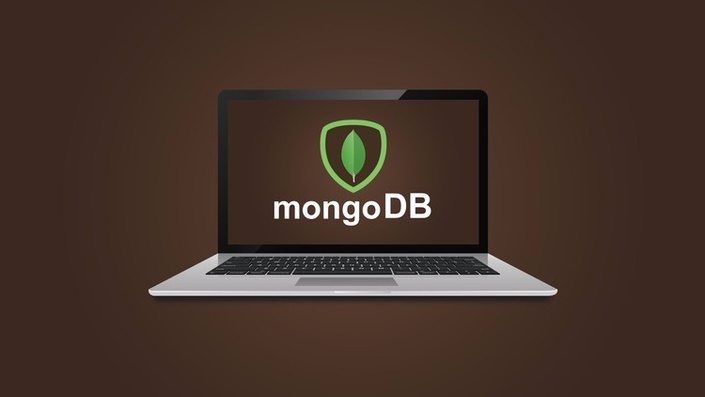 This MongoDB online course has been designed for web developers, web designers, web architects, testers, site administrators, and pretty much anyone who already has a working knowledge of web development. Although it’s not vital, knowing how to build web UI components and a familiarity with NoSQL persistence will help. This course is absolutely not limited to developers only, however. If you're new to web development, MySQL is the most popular database technology out there. This free technology is used to create the majority of database dependent websites (which most are). This course will start at the very beginning, with lessons on what MySQL is and how it works, to installing MySQL, then moving on to all the basic skills you'll need to use MySQL in the real world. You will also learn the popular new MySQLi framework. MySQLi is the next generation of MySQL, and if you know this now you will be ahead of the competition for a long time to come. This course also includes two real life projects. After you've gained an understanding of how MySQL works, you'll learn how this technology is used on real websites. 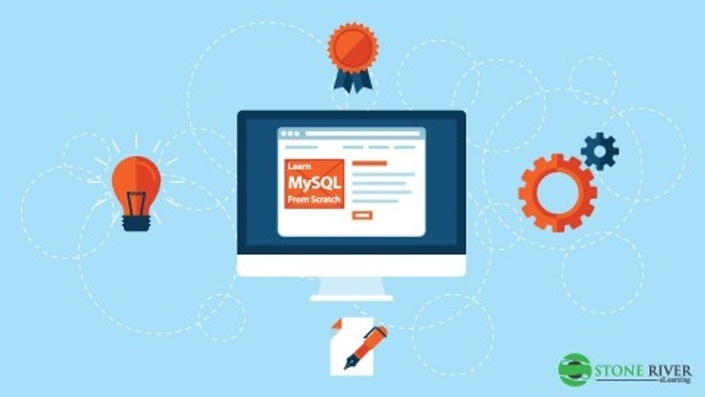 The course teaches MySQLi, a way to connect to databases within PHP. It covers connecting to the database, and using all the features required to build fast, scalable applications that use a database connection. It covers essential concepts like security, and best practices with using the data retrieved from the database. A knowledge of PHP and MySQL is recommended for this course. This course is perfect for anyone with an interest in learning the basics of jQuery development, gaining an understanding of the fundamental concepts of jQuery, or learning how to build simple to intermediate jQuery applications. All you need to know before you start is how to download and install the software (trust us, it's foolproof). With over 34 lectures and 4.5 hours of content, by the end of this course you will have designed a jQuery web application, not to mention the fact that you'll know pretty much everything there is to know about this cross-platform library. You'll start off with some core concepts like adding the jQuery library to your web page, syntax, selectors, and event methods. Then it's on to functions, debugging and hardware APIs, and effects. At the end of each section, you'll complete a specialised project that will allow you to put your newly developed skills to the test. So not only will you have all of the theory you need to whip up a web storm, you'll have plenty of practical experience too. MySQL is one of the most famous systems whose primary role is managing databases.The main goal of this course is the acquaintance with the basic concepts of databases.The acquired knowledge will enable you to practically use MySQL servers. Through the lessons, you’ll get a general picture regarding SQL language syntaxes as well as the advanced functionalities of servers. This is an open code system which means it’s available to everyone that wishes to use it and modify it according to their own specific needs. Apart from the fact this system enables you to manage your daily tasks quickly and efficiently, gaining skills and experience in MySQL will also provide you with a chance at building a successful and lucratively rewarding IT career. This course also prepares you for ORACLE certification, which can only further improve your chance at landing a great job. This course is intended for those who have a working knowledge of HTML and CSS, and who are comfortable coding by hand and navigating through code. With an emphasis on in-depth, hands-on training, you'll learn the latest techniques for building and managing functional CSS-based web layouts. To start off, you'll be introduced to fundamental Flexbox concepts and terminology, as well as the other essential knowledge you'll need to know before going further. From there, the lessons get progressively more hands-on and challenging. You'll cover flex containers, flow axis directions, flex widths, axis spacing and alignment, establishing element flexibility, working with nested flex containers, and more. Each section includes a practical exercise to put your skills to the test, and a quiz to help compound your knowledge. If you want to push your HTML, CSS and web design skills further, if you want to learn the latest in CSS web layout techniques, or if you just want to know the secret to building responsive, mobile layouts with minimal code, then this online course is a must. Flexbox, or the CSS Flexible Box, is a layout mode in CSS that allows designers to build and manage website layouts quickly and easily. Arrange each page element and test on different screen sizes (i.e. desktop, mobile, tablet) and display devices to ensure your code behaves accordingly. It was created to replace float and table layout hacks, making life much easier for designers and developers everywhere. This course is perfect for anyone with a basic knowledge of HTML and CSS, and will tell you everything you need to know about Bootstrap 4 in record time. All you need is a stable internet connection and a text editor (notepad, notepad++, sublime or atom) and you’re good to go! You’ll start off by downloading Bootstrap 4 and creating folders, and then you’ll get straight down to exploring the new updates through practical examples. Linking files, creating the navigation bar, jumbotron and cards, and adding footer is all covered. When you’ve completed them all; you have a fully functioning, responsive website for your efforts. It really is that simple! In the Develop Responsive Websites with Bootstrap 3 course, we will walk you through the popular Bootstrap HTML and CSS framework. Bootstrap helps build websites that look beautiful on mobile, tablet, and desktop browsers. Develop Responsive Websites with Bootstrap 3 covers a wide range of use cases from simple marketing websites, to web application UI's to dynamic websites using a CSS pre-processor that builds Bootstrap on the fly. In the course, you will learn about various stylized components of Bootstrap 3 including Navbars, Buttons, Panels, Images, Accordions, Modal dialog boxes and the like, while building two demonstration web sites. You will also learn about the underlying architecture including the layout grid, responsive techniques, typography, and utility functions for layout, hardcopy print and screen readers. By the end of this course you will have created a beautifully designed responsive website for your portfolio. After taking the course and creating the project website, you will be able to take what you've learned and create virtually any other type of website on the web today. You will also create your own custom web application UI. Keeping on top of the latest progress in web development can be daunting. There are always new languages to learn, new applications to create with them, and endless possibilities. Learning web components with Dart is an excellent place to start, however. Whether you're a coding veteran or just dipping your toes, Dart will massively streamline your web development projects by eliminating endless lines of code, implementing complex features with a few clicks, and cutting down on the time and effort it takes to create top notch web components. Over the course of 61 lectures and 4 hours of concept you will learn all the ins and outs of the Dart as well as how to create and implement web components using this programming language. You'll cover syntax and usage first and after establishing the groundwork, you'll move on to the nitty gritty of web components. That means learning all about their origins, advantages, features and proper use. Following that, you'll work on a project that will allow you to put all that theory to practice, creating real world web applications using Dart. When finished, you'll have enough hands-on experience with Dart to be able to apply it to any relevant web development project. FIREBASE EXPERIENCE IS NOT REQUIRED!!! This course simply teaches what you *really* need to know about Git. After working professionally with Git for more than 5 years with large and distributed teams, I will show you, step by step and cutting out all the fat, what Git is, what’s the use case behind each feature and how you can use it effectively like most professional web developers use it. Additionally, you will be able to purchase a complete book of the whole course, so that you have an easy reference to all the knowledge. The course has more than 2 hours of video tutorials and you can also purchase a book that covers all of the video content, so that you can refer any information in a printed format. If you search on the web, you’ll find hundreds of courses, videos and other resources about Git, but it’s work that’s incredibly tedious and leaves more questions than answers. You can also buy a “Pro Git” book and try to learn all of Git as if it was your end goal. The truth is Git is only a very basic utility tool that you shouldn’t be thinking about. You should spend your valuable time learning more productive things, like computer languages. With this course you’ll get that level of comfort, knowing you will be using Git without thinking about it.